When do coughs and sore throats warrant a referral? When are OTC treatments enough, and when do patients need to see a specialist? Coughs and sore throats are extremely common illnesses that are seen all the time in community pharmacy. While patients with these symptoms may feel unwell, the underlying condition is usually self-limiting. In these cases, over-the-counter (OTC) remedies can be useful in providing relief. simple painkillers, such as paracetamol and/or ibuprofen. a simple remedy containing glycerin, honey and lemon may help to soothe the irritation causing a cough. "If a patient's sore throat has just presented, a pharmacist can offer advice and suitable products to help ease the symptoms, for example throat rinses or sprays," says Boots UK pharmacist Bina Mehta. After a successful sale of one of these products, the patient may go away happy, leaving you with the satisfaction of easing their symptoms and avoiding an unnecessary trip to a GP. What Action has the patient taken so far? What Medication is the patient taking? Sore throats are most commonly caused by a viral or bacterial infection. Terry Maguire, a pharmacy owner in Belfast, stresses that the vast majority of coughs and colds can be dealt with in the pharmacy. “[Of] otherwise healthy adults who present in the pharmacy with symptoms of a sore throat or cough, 99% of them will have a viral infection, and none of them will benefit from antibiotics,” he says. This is based on Mr Maguire's daily experience in his pharmacy, but research by the National Institute for health and Clinical Excellence (Nice) has attempted to quantify this in an evidence-based way. Nice estimates that for a sore throat caused by a viral or bacterial infection (including streptococcal infection), 40% of people can expect their symptoms to resolve within three days, and 85% within a week. Michael Moore, professor of primary health care research at the University of Southampton and a GP in Salisbury, offers a useful rule of thumb. He advises that in otherwise healthy people, “a sore throat may require further investigation after eight to 10 days”. difficulties swallowing, accompanied by a skin rash – this could suggest an alternative cause to a simple viral infection. glandular fever, a systemic infection caused by the Epstein-Barr virus. Most cases of glandular fever occur in 15-25-year-olds, making them a high-risk group. In addition to a severe sore throat, other symptoms to look out for include a high temperature, swollen glands in the neck, and extreme lethargy. If a patient has a sore throat and has developed a skin rash they may have scarlet fever, which will normally be treated with antibiotics. When is a sore throat referral urgent? There are a number of symptoms which can suggest a medical emergency: stridor (an abnormal, high-pitched breathing sound most often heard when taking in a breath, caused by a blockage in the throat or voice box); breathing difficulties; drooling; and signs of dehydration. Patients should be referred to hospital immediately if they show potential signs of throat cancer: a mass in the neck; red, or red and white patches; ongoing ulceration; swelling of the oropharyngeal mucosa; or persistent pain or difficulty when swallowing. The symptoms listed above are also potential signs of other conditions, such as acute herpetic pharyngitis, or herpangina. Patients should be referred to their GP, as they will need to see a specialist under the urgent referral pathway – which currently has a maximum waiting time of two weeks in England – to rule these out. Colds are the most common reasons for cough. According to Nice, adults experience an average of two to three colds a year, while young children attending primary or pre-school will experience an average of five to eight. 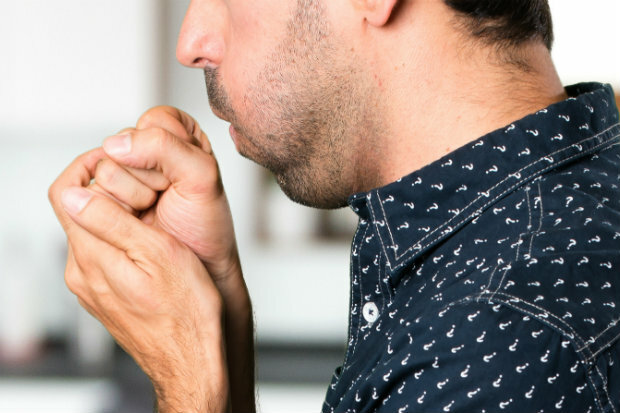 A persistent cough on its own may not be suggestive of something more serious, but it does need further investigation, “particularly in a smoker”, cautions Mr Maguire. This is because coughs that last longer than three weeks can be a sign of underlying diseases, such as pneumonia, bronchiectasis (see below) or lung cancer. fever, which can be a sign of bacterial infection. When is a cough referral urgent? Professor Moore says pharmacists should exercise a high degree of caution when dealing with young and old people with cough, and be watchful for other signs of illness that would warrant a referral to their GP. His list of signs pharmacists should keep an eye out for "includes sweating, confusion, very high fever [over 39°C], vomiting, [feeling] light-headed on standing – which suggests low blood pressure – shortness of breath, or laboured breathing with cough”. Common causes of cough in children include croup (a distinctive, barking cough), and pertussis (a cough characterised by the ‘whoop’ sound it causes). Persistent cough can be caused by bronchiectasis – which can cause daily sputum production, progressive breathlessness and chest pain – and gastro-oesophageal reflux disease, which causes irritation to the throat. Some medicines, including angiotensin-converting-enzyme (ACE) inhibitors, can cause coughing as a side effect. Although for the majority of patients who visit your pharmacy you will be able to provide treatments to relieve the symptoms of their coughs and colds, you and your staff should be aware of the referral trigger points that will require referral to either the GP or to hospital services. 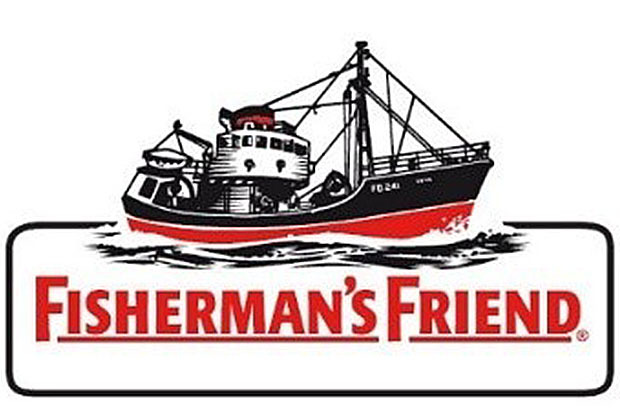 Fisherman's Friend will be returning to TV screens in the new year, the confectionery brand has announced. The £1 million-campaign, due to run throughout January 2018, will feature singer tenor Alfie Boe and will be "bolstered this winter by a heavyweight marketing campaign", the company says. This will be the third time the company has teamed up with Alfie for a “key seasonal campaign”, UK area business manager Martin Stimson says. The Fisherman's Friend range spans Original Extra Strong, Aniseed, Sugar Free Blackcurrant, Sugar Free Cherry, Sugar Free Mint, Original with No Added Sugar, Sugar Free Lemon, and Sugar Free Honey and Lemon. Mega Tins of Fisherman’s Friend are also on offer on a first-come, first-served basis to key pharmacy accounts throughout the UK, it added. Fisherman’s Friend retails at 78p for a 25g packet; £2.19 for a 3 x 25g multi-pack; or £1.45 for a 45g box. What's the evidence for treating colds with decongestants? What are your best-selling OTC treatments for coughs and sore throats?